Category: Scarves. Tags: alpaca, black, floral scarf. 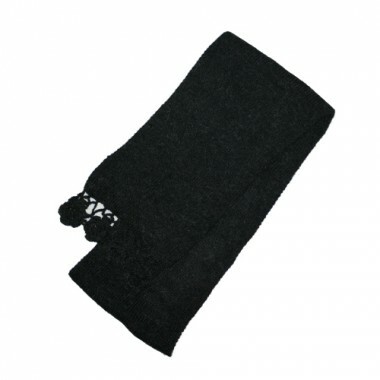 Black scarf with a hand crocheted floral edging.